What are chakras (energy centers in the body) and what effect do they have on our health? How our chakras affect our health is something we need to know about. I find it really amazing the aspect of our existence which we depend upon the most is the one we understand the least. Most people go through day to day without any awareness or thought about their chakra energy system. A system so intricate that it can function automatically, but is designed to respond to our direct input from us to operate at its best. Without our input and regular maintenance, our aura and chakras operate in a default mode. What this means is that we will be responding based on our emotions instead of us reacting with energy that is balanced and under our control. Better said, your energy can respond to you, or your energy will respond to what happens to you. Many people assume that their aura is generated by their body when in fact the aura creates the body. We now know that we are spiritual beings having a human experience. That experience is going through a great transformation and is rising to a higher frequency. So, in essence, our human form is evolving to the essence that is you. There are seven chakras that many of us are familiar with that are associated with the body. Then there are five chakras you probably know very little about what is called transpersonal chakras or spiritual chakras. We as a human body are physical because of the vessel we operate from. These chakra energy centers are not physical they are energetic. How is the Aura Constructed? The twelfth chakra is the place into which all that is becomes the breath within you. It is consciousness. These five higher chakras basically step down into the other energy centers so that they will be compatible with the human body. Once the energy reaches the ninth chakra we find the causal plane or the realm of unlimited possibility. Contrary to what you have been told you are far from a limited material being as quoted from Amit Goswami, Ph.D., Theoretical Quantum Physicist. Everything that exists on earth has first existed in the causal plane, the ninth chakra just above the head. Whether you want to believe it or not you are a timeless energy entity existing in the realm of unlimited potential, between unlimited probability and unlimited possibility. From here the energy enters the body and the seven traditional chakra centers. Not only are these chakras serving as sensors looking for new data, they store information. Basically, your chakras in your body copy all of the data and return it to your source. This data is then used to construct your on-going reality as you experience it in the flesh. The universe then rearranges itself to fit the picture of the reality you hold inside of yourself. For example: If you hold a negative, sarcastic reality then this is what will be reflected as yourself. Conversely, if you are full of confidence, and see opportunities, this will be reflected. Only by changing old or outdated information about ourselves can we be transformed and begin to see the reality of those changes in our every day lives. If you can become aware of this Chakra energy system and how it operates and that it is responding to your thoughts and intents, you can start to control it other than let it operate by default. We are in a sense computers, we need occasional defragging to be performed in order to run at optimal levels. The last thing we want is a crash. Negative thoughts can build up in our Chakra energy system making us dull and lifeless. By ignoring the condition of our Chakra energy centers we leave ourselves open to harmful influences, letting our guard down and lowering our energy. 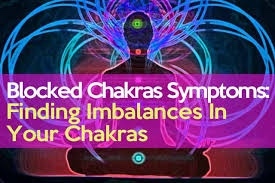 Things like guided meditations and visualizations can really help to keep your Chakra centers clean and running efficiently. Energy always follows thought. Simply if you don't like how life is going all you have to do is change your thoughts and things will start showing up for you. When we finally get to the point where we understand that what others do makes no difference and how we respond to it is everything, we will finally have control of our own destiny instead of blaming others. Things like holding onto anger, hurt, resentment, and the like only affect our Chakra energy centers and have no effect on those who we think caused them. Letting go of everything is the key to a clean energy system. To clean your Chakra energy system all you have to do is show up with the right intent and the rest is done for you. There is a multitude of other ways to clean up your act. Many people use music. Steve Halpern makes some of the most beautiful meditation music I have ever heard. Chanting is another great way to clean up your field. Here are several sources of chanting music. Once you do the work to clean up your energy life will seem lighter, brighter and much more effortless. Be ready, once you start clearing out your Chakra energy centers old hurts will begin to surface and you will remember things you had long thought were forgotten that are still in there causing you trouble. When this happens simply replay the old hurt in your mind and gather the lessons learned from it. By focusing more on the lessons learned that the incident that caused it you can relieve some of the negative charge attached to them. You will know that this is working by the way you feel as you release the dense energy from your body. Once we gain the understanding that these 12 Chakra energy centers represent the key, and are the map for human form that we take for granted, then we can find the destiny that awaits us.